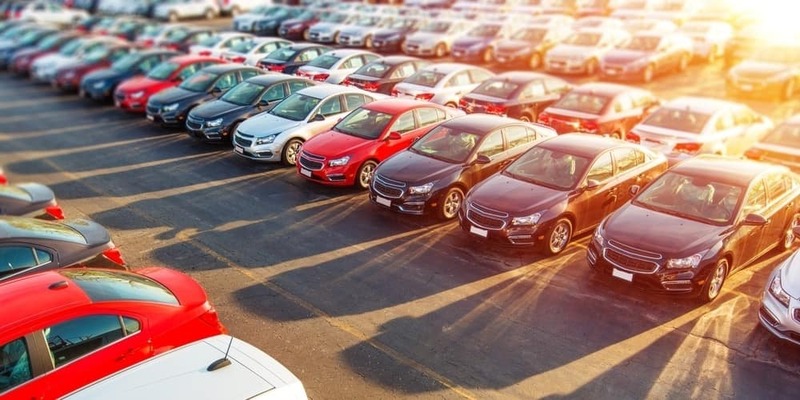 Whether you’re shopping for a used car or preparing to sell your aging ride, you may feel like the applicable values of these vehicles are random and inconsistent. Sure, there’s little chance that identical vehicles will have the same exact price if they’re being sold by different dealerships… Although these prices will surely be close. Car sellers, regardless of whether they’re private or operating out of a dealership, usually account for many of the same attributes and amenities as they’re looking to value a used vehicle. Unfortunately, not every vehicle is valued equally. Luxury cars, trucks, or SUVs tend to sell for more on the used market than a generic sedan. Each make and model is assigned a different price range on the used market, and sellers will also consider the accompanying year of that particular vehicle. These attributes generally hold the most weight when someone is selling a vehicle, and the examples below supplement these values. Fortunately, it’s relatively easy to gauge the value of a specific used car. Whether you’re going to be buying or selling a vehicle, you can refer to a number of online resources to help provide some guidance. Kelley Blue Book is usually relied on by both dealerships and private sellers, so that’s certainly a good place to start. Even websites like eBay and Craigslist will show what previous sellers have been asking for, so you’ll understand if a used car is priced too high or too low. This is rather obvious, but some car sellers are still blindsided when a potential buyer or dealership has qualms with the mileage on the vehicle’s odometer. This value certainly doesn’t tell the full story about a car’s condition or dependability. A relatively low-mileage car may have some troublesome mechanical problems, while a high-mileage car may be operating as if its new. Still, the mileage total will certainly be taken into account when a buyer is exploring a used car. Low mileage is generally associated with less wear and tear, so buyers are likely willing to dish out more money on these vehicles. On the flip side, a high-mileage odometer is often identified with an end-of-the-road vehicle, and most buyers will assume that 100,000-plus miles on the odometer means the car doesn’t have much time left on the road. While the mileage value is tangible and easily-accessible, the condition of a specific vehicle is more subjective. However, sellers should at least have some idea of how their car will be evaluated by any potential buyers. It starts with the interior, which should be clean – void of any dust, grime, or trash. It’s incredible how inviting a clean cabin can be, and it’s also surprising how many buyers will be turned off by a messy interior. This logic makes plenty of sense, as an untidy interior may be an indication that the previous owner neglected other areas of the vehicle. When it comes down to it, a prospective buyer is going to use every little discrepancy to their negotiating advantage. The outside of the vehicle may have some irreparable damage (or, it has an issue that wouldn’t see a return on investment when fixed), but the inside of the vehicle has some minor tweaks that could earn the seller some extra cash. For instance, assuring that all of the lights are working properly could go a long way in enticing a potential buyer. The vehicle’s exterior is a bit tougher to gauge. As we mentioned, a seller could easily fix up any aspect of the vehicle, but it’ll only be worth it if they see a monetary return on investment. Fortunately, there are also some easier, low-maintenance, inexpensive routes a seller can take to make their car’s exterior attractive to prospective buyers. For instance, a car wash is always a good idea, as well as testing any of the exterior lights. As a car owner, you may appreciate the inclusion of, perhaps, a sunroof or a giant infotainment system. However, it’s important to remember that these amenities don’t appeal to everybody. Many car buyers enter the buying process with some picture-perfect version of their desired used car, and they’ll naturally avoid those vehicles that don’t contain the attributes they’re seeking. Furthermore, they may be inclined to also ignore vehicles that offer too much. In the long run, it’s unlikely that a specific feature will reduce the value of a vehicle considerably. However, as a car seller, you should anticipate that a potential buyer may have some gripes about one of these particular features. Building off that previous point, some buyers may be inclined to settle for a vehicle that contains a feature that they weren’t necessarily seeking. However, it’s unlikely that they’ll be willing to tolerate a vehicle that contains some massive, personalized modifications. Similar vehicles tend to have consistent values, regardless of the paint color (although neutral colors are usually more popular). It’s the additional amenities that customers may have an issue with. For example, decals or bumper stickers immediately reduce the value of a car considering they’re relatively hard to remove, thus resulting in a lasting “scar” on the exterior. A lift kit may contradict what a buyer is seeking for performance, while a replacement engine will presumably lead to some skepticism. Whether you’re looking to purchase a used car or sell off your current ride, you’ll certainly find everything you could possibly need at DePaula Used Cars. The Albany, New York-based dealership has some of the most competitive used prices in the area, and sellers can surely expect a fair offer for their soon-to-be-former car. In other words, you shouldn’t even consider a dealership other than DePaula Used Cars.